We specialise in providing you with all aspects of GIS capability from data creation, analysis, data management and bulk map production. A unique device that is rugged and has better screen size than other devices. 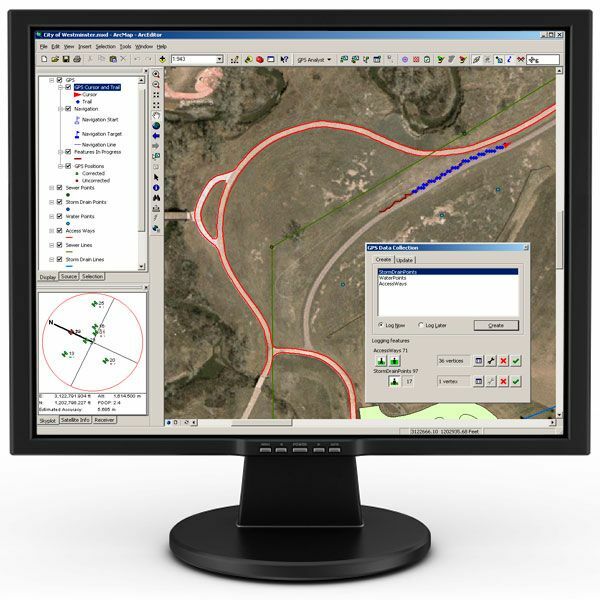 We have access to an extensive range of GIS software running on the fastest desktop PC's available. With huge improvements to GPS technology you are able to capture better results and in many cases accurate background mapping can assist. 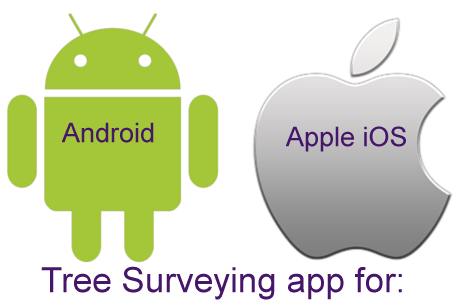 A comprehensive, easy to use out of the box, mobile GIS mapping solution. 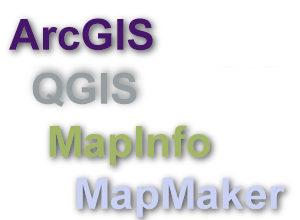 We have access to a large amount of GIS data and can convert them to any format that is required. We can produce maps both printed and electronic maps to whatever size you need. We have printing onsite up to A1 but can arrange printing as required. We have a variety of Unmanned Aerial Vehicles (UAV's) that provide current high quality aerial imagery as well as video. GIS Solutions also offer a full range of GIS Consultancy services including georeferenced aerial imagery. Mapping from UAV's offer levels of accuracy and precision that have never been posible before for a reasonable cost. 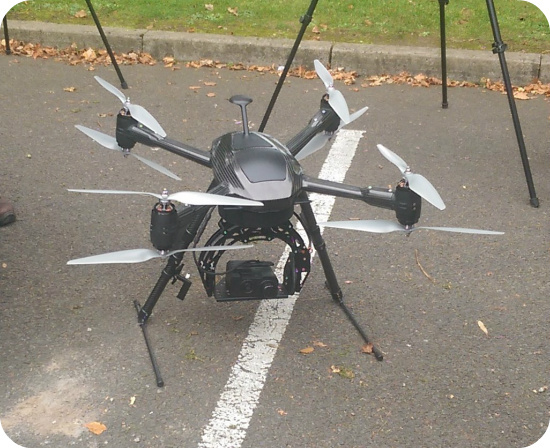 Our team of pilots that cover the UK are fully qualified to safely and responsibly operate all of the UAVs. They have permisison from the Civil Aviation Authority that allows them to operate UAV's commercially in the UK and they are fully insured for this and we can provide risk assessments and any other information that you may require. "We can provide high quality video or photography, as well as georeferenced images for use in GIS." 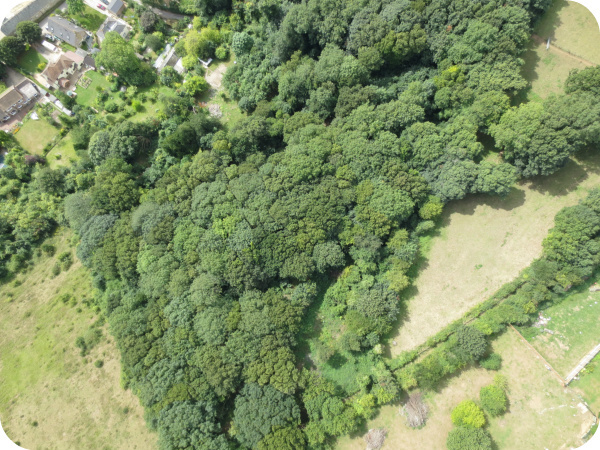 ABOVE: An image from a UAV being used to assist with a tree survey. This helped with a planning application for an overhead powerline. Click the photo above to see the original 6Mb photo. ABOVE: Video shows the high quality footage from a UAV being used to assess the larch trees for disease. Contains Ordnance Survey data © Crown copyright and database right 2017.